With millennial consumers not consuming, several policies to boost young adult spending have begun to enter the political dialogue, such as student loan debt forgiveness, according to the director of the University of Michigan consumer survey, Richard Curtin. 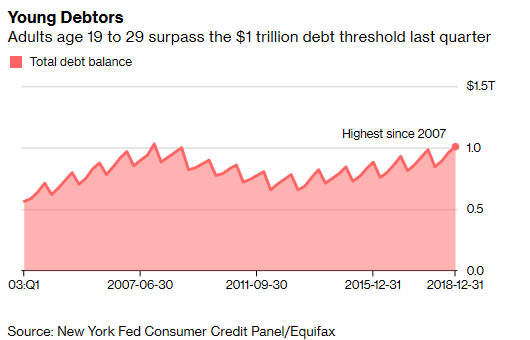 The lion’s share of overall consumer debt is mortgage debt – however student loan debt, the second largest consumer debt segment, is growing much faster at a rate of 102% since 2009 vs. 3.2% for mortgages. 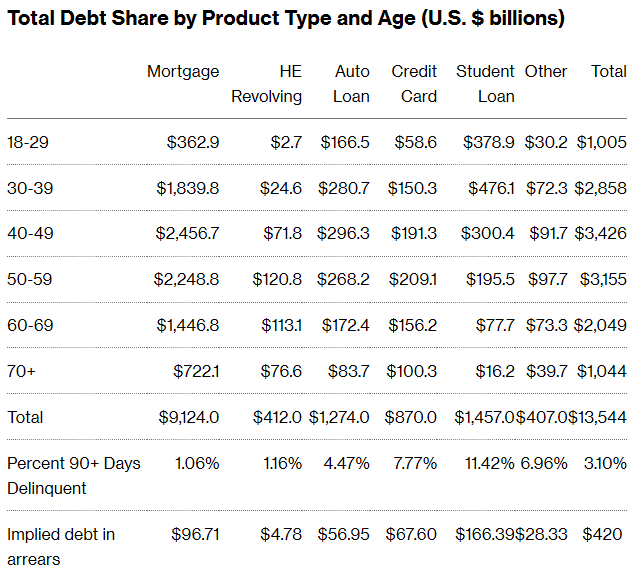 Peak debt for more Americans occurs during mid-life years, and typically declines as people age. 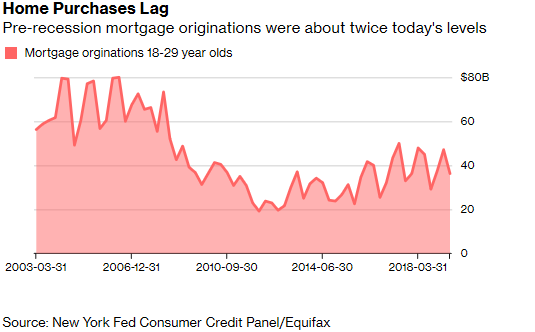 What’s worrisome, according to the report, is that implied student loan debt delinquencies exceeding 90 days dwarfs other loan type categories. “Once a person is the subject of third party collections from their student loan delinquencies, their credit profile will be hindered for years. Missing a student loan repayment can also harm an individuals chances of getting a mortgage,” notes Bloomberg. 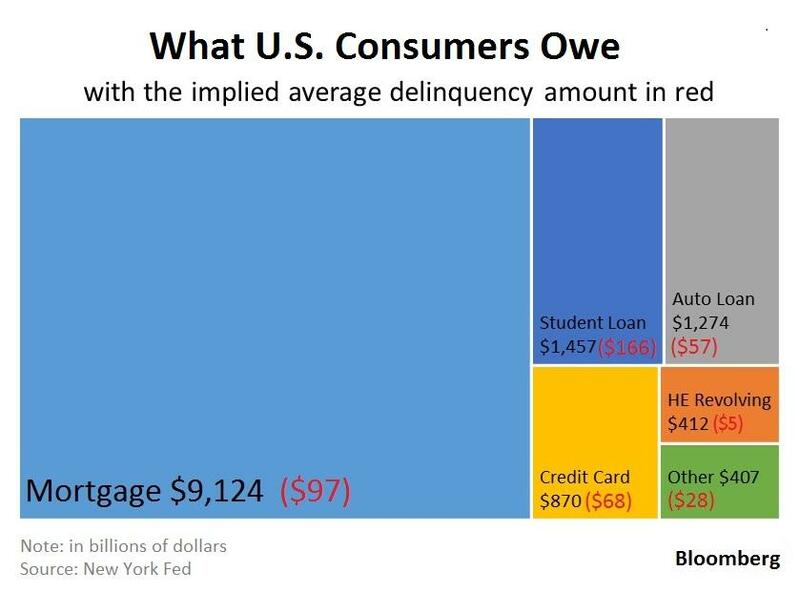 Student loans constitute around 40% of the total debt balance of 90+ day delinquencies for implied debt in arrears. This article was originally published by ZeroHedge.com. Where Are The Rich Getting Richest?